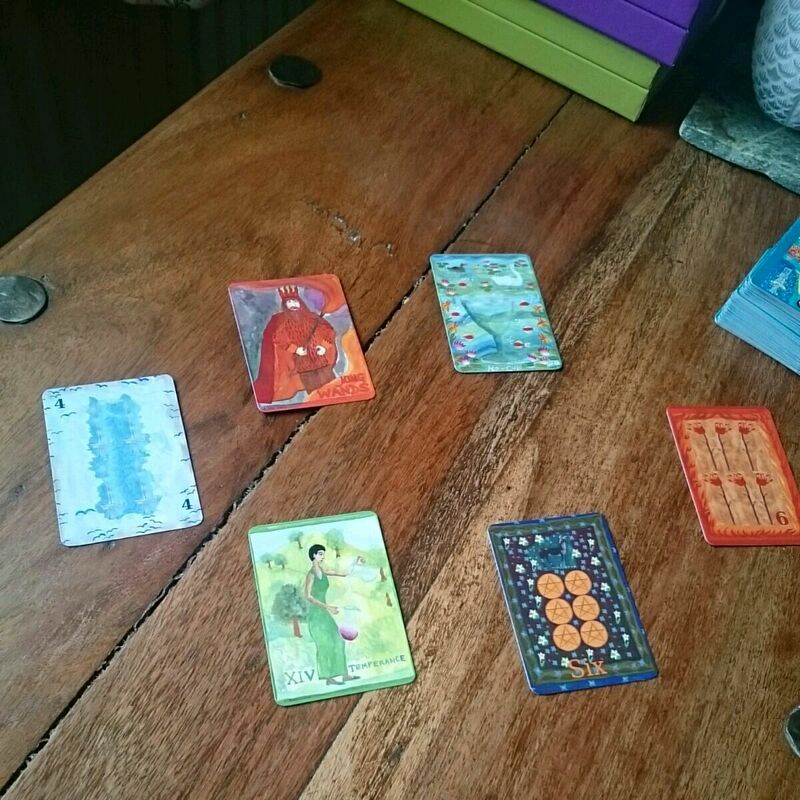 So, to add some light relief, I thought I’d talk about my tarot decks. Especially as I’ve just got a couple of new ones!! This was my first deck. Their beauty probably drew me into tarot, or at least tipped me from vaguely interested to reading cards myself. They are works of art which fit in your hands. This is my most used deck and the one I’m most familiar with. They’re in their final print run and you can get them from Little Red Tarot if you’re in the UK along with the book which I highly recommend. If you are just getting to know your wild unknown deck or want to see someone else’s interpretation, check out Carrie Mallon’s blog. She’s done a whole series with a post for each wild unknown card and it’s really interesting. From the creators of the wild unknown, there is also an animal spirit deck which I’m very much lusting after. Once again, the images are so beautiful. 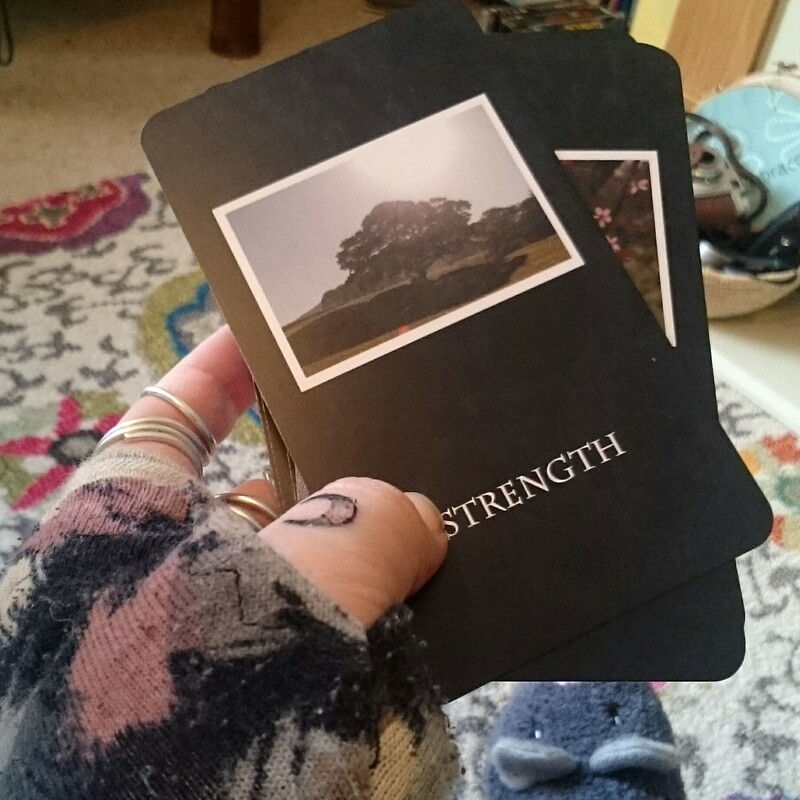 I’d really like a tattoo in the style of these cards and they have a tattoo karma fund which I think is an awesome idea. 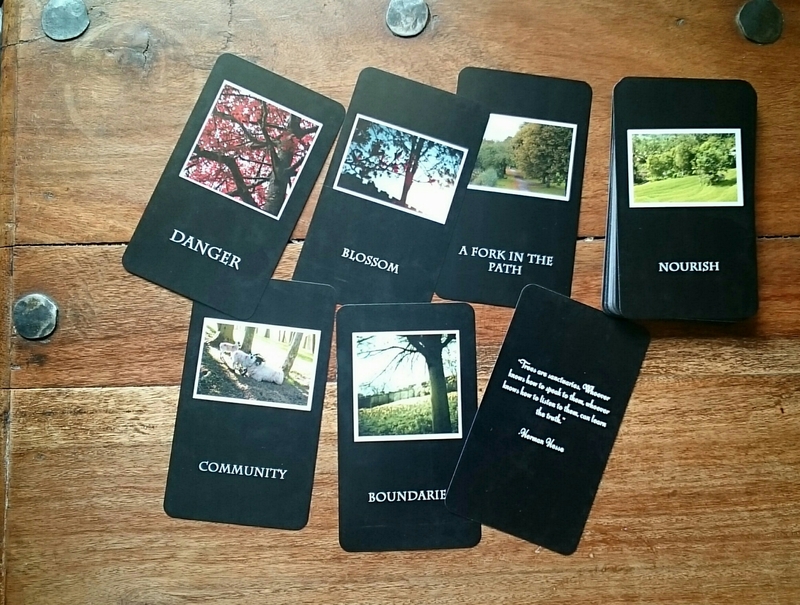 This is a mini deck to take with me when I go out for readings. It came wrapped in beautiful fabric and in addition to the mini deck, I also got a couple of single, larger cards. 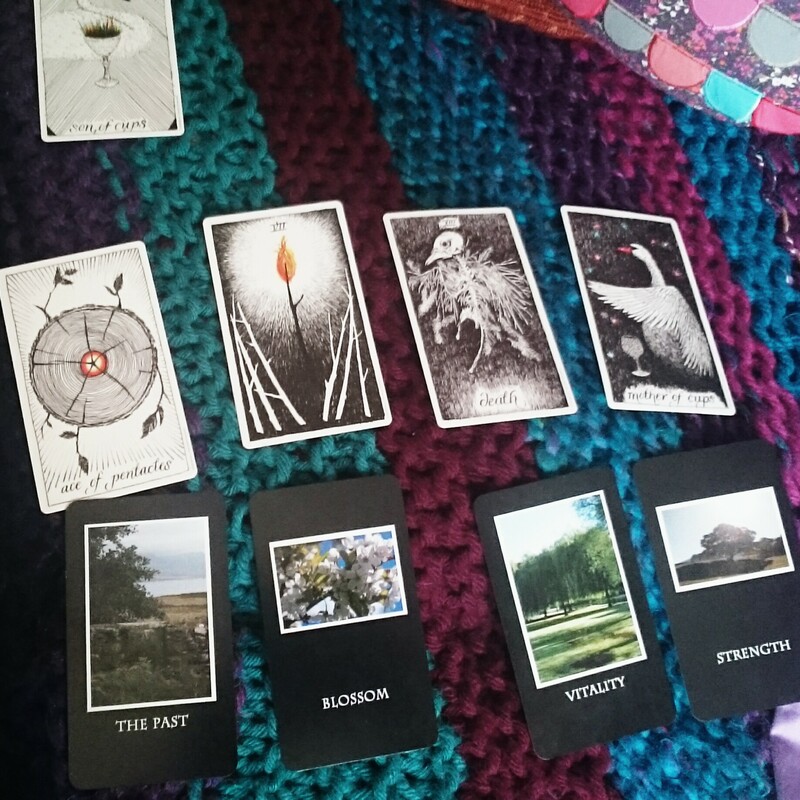 I really liked that I could do that as there are some cards which I find useful to have propped up around the house at times and using the ones from a deck means I have to remember to put them back in when I do a reading! Designed using my photos, I had these cards printed myself. 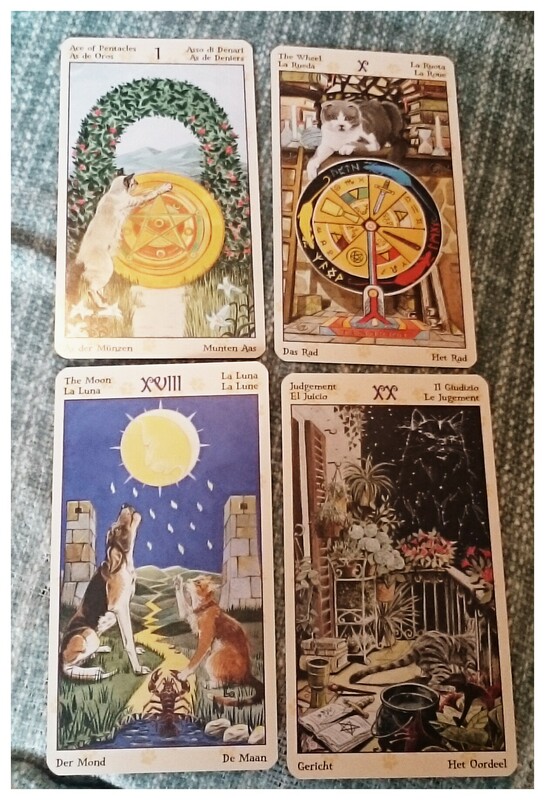 I’ve talked about them more over on unlocking images but they’re a nice compliment to my tarot cards and I’ve been using them with a tarot deck for readings. I bought these for Susannah Conway’s course which I’m really excited about (starts next week!) but would probably have picked them up anyway at some point cos cats! I also bought these for Susannah Conway’s course. They’re ok. They are probably not a deck I’d have bought otherwise. They’re ok. Sad story, despite creating the images for such a popular tarot deck, the artist Pamela Colman Smith died penniless and other than the cards, experienced a lot of rejection for her works. I don’t use these often. It tends to be for bigger things like when I was looking to retire and more recently when I was looking at my post retirement life. I love the images on them and the book gives very detailed information about each card. What decks do you have? 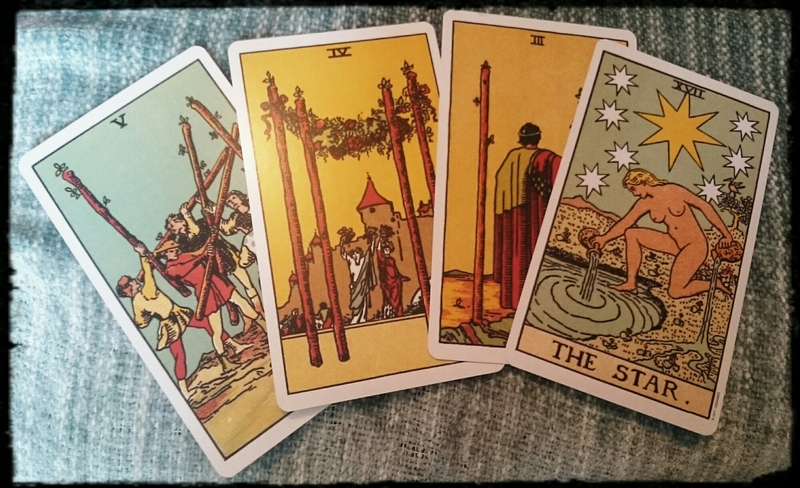 I love seeing images of tarot cards, they’re so often such wonderful little pieces of art.